The rules, regulations, and practices for moves between states vary from those for intrastate moving within the state of Florida. Not all states regulate the moving industry, and regulations vary from state to state. For that reason, the federal government, through the Federal Motor Carrier Safety Administration, regulates all interstate moves. 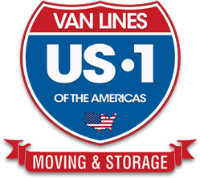 For clarification of your rights and responsibilities concerning interstate moving, visit the American Moving and Storage Association website at www.moving.org. The AMSA can provide you the consumer guidebook, “How to make your next move, your best move.” The AMSA also provides a locator service for interstate moving companies in your area through its website or membership department at 703/683-7410. Many PMAF members provide Interstate moving services; locate Professional Movers in your area through our directory for details on their services.